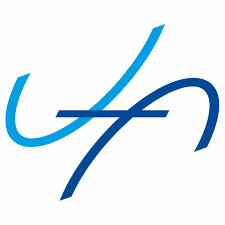 With unconcealed pride, we communicate our company’s five-year jubilee. At the same time, we would like to thank our partners – the Adam Mickiewicz University Foundation from Poznań and Synthos S.A. – without which we would not achieve our goals. Over the past five years, we have developed several groups of cationic photoinitiators, we have produced new printing inks, created new resins for 3D printing and many more. There are new challenges ahead of us. The first goal is to develop water-soluble radical photoinitiators that can be used in the production of plastics in emulsions. We are expanding the project focused on 3D printing, where the goal is cationic technology. The last big undertaking is the development of new efficient dyes for photovoltaic cells. Polish manufacturer of photovoltaic modules, ML System, commissioned us the development of new crucial components dedicated to experimental devices. The goal is higher energy efficiency and stability. New photovoltaic modules will be produced and tested in 2019. The 5th European Symposium of Photopolymer Science was held in Mulhouse (France) from September 3-6. PHT have presented a new family of cationic photoinitiators which work upon ultraviolet and visible light irradiation. A novel mechanism of photobleaching of new photoinitiators was presented. A contract was concluded between PHT, the Jagiellonian University and the Innovation Initiative Foundation as part of the Baltic TRAM project. An important element of cooperation between the parties to the agreement are IREC units – research centers for industry understood as intermediary organizations between enterprises and research units. 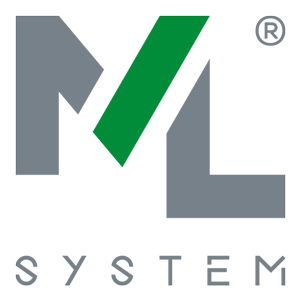 IREC Polska is represented by FII and co-creates with IREC units from Denmark, Estonia, Finland, Lithuania, Latvia, Germany and Sweden, Baltic IREC Network. The benefits of the signed agreement will enable PHT to finance research in a new photochemical project and to use the hardware and material resources of IREC units. Additionally, cooperation within the framework of Baltic TRAM will be conducive to the commercialization of developed technological solutions. PHT has started cooperation with the ABB Corporate Research Center, which is a leading scientific unit developing the latest industrial technologies for the needs of the ABB Group. The main goal of cooperation is to create advanced functional materials. PHOTO-EMULSION project has just started, below you can read about its official goals. The polymer industry is going through one of the most significant periods of change in its history. Driven by new environmental regulations, the development of eco-efficient processes and zero-VOC products has become an absolute necessity. In this field, 2 technologies stand out: Polymerisation in dispersed media and Photopolymerisation. To maintain EU leadership in this sector, PHOTO-EMULSION aims at training a next-generation of 8 Early-Stage Researchers (ESRs) who can push towards new eco-friendly polymerisation processes. Our primary strength is a demanding technical knowledge base bringing together, for the first time, all disciplines related to these 2 strategic fields. Secondly, we will broaden traditional doctoral training by targeting transferable and specialized skills sought after by the employers, and learned through innovative methods: tandem ESRs, distance language learning, ESR as itinerant science educator, online courses, ESR-led subproject, highly interactive meetings, and industrial secondments. In research, we will develop a “hybrid” next-generation technology based on thiol-ene photopolymerisation in dispersed media. Advanced manufacturing based on photoreactor promises a wave of high sulfur content dispersed products (films, nanoparticles, porous network). Their outstanding properties open the door to applications responding to current industrial needs such as non-leaching materials, O2 barrier and biobased waterborne coatings, biologically-active particles, hybrid nanosensors and monolithic chromatography column. 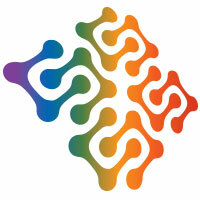 PHOTO-EMULSION is a EU-funded Innovative Training Network (ITN) project of the H2020 programme. It involves a high-quality research network including 8 internationally reputed academic institutions, 4 leading companies and 2 non-profit organisations. Balanced & EU-wide, its diversity expresses through the participation of 8 countries (Austria, France, Germany, Ireland, Poland, Slovenia, Sweden & Spain), 50% female scientists-in-charge, and structures supporting gender equality. Intrograf, one of the biggest printing companies in Poland has been awarded 1.3.1 grant for production a new type cardboard packaging dedicated to the pharmaceutical industry. The application for co-financing was supported by research carried out in our laboratories and now Intrograt will continue collaboration. The total cost of the project is 14 300 000 PLN (over 3 million Euro). 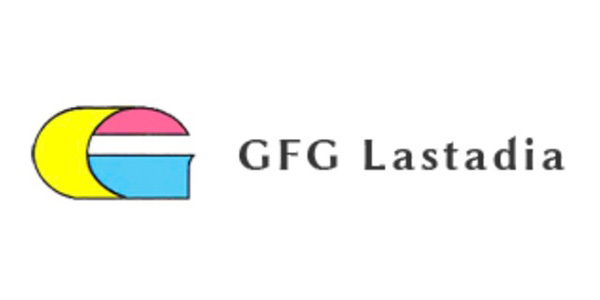 Since 1946, GFG Lastadia (formerly The Factory of Graphic Paints in Gdańsk , Poland) has been awarded the 2.1 “Support for investment in R&D infrastructure of enterprises” for the production of innovative solutions and UV-curing varnishes. All products will be based on the Sylanto photoinitiators – developed by PHT and currently manufactured by Synthos S.A.
Project title: Establishment of the Research and Development of Center of Gdansk Factory of Graphic Paints plc. It specializes in the development of printing paints hardened in UV LED system. The total cost of the project is 2 750 000 PLN, and the motion itself reached the maximun amount of points . 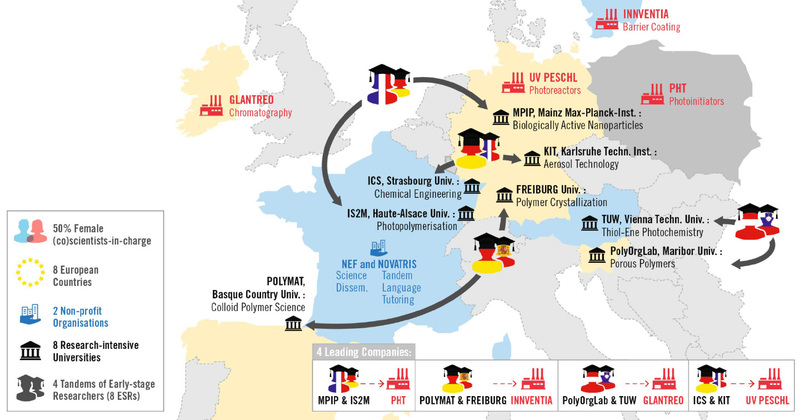 The consortium consisting of the Institut de Science des Matériaux de Mulhouse (FR), the Max Planck Institute für Polymerforschung (DE), the POLYMAT, the Universitas del Pais Vasco (ES), the Physikalisches Institut, the Albert-Ludwigs- Universität Freiburg (DE), the Technische Universität Wien Institut Charles Sadron, CNRS (FR), Karlsruher Institut für Technologie (DE) and PHT have received funding from the Horizon 2020 European Commission. The PHOTO-EMULSION project – Towards Next-generation Eco-efficient PHOTO and EMULSION Polymerisations is carried out in cooperation between several reputable scientific units and production centers. The project is intended to be a pro-ecological solution to the problem of photopolymerization in emulsions and the training of doctoral students in the field of photoinitiator synthesis, composition and commercialization of obtained results. The role of PHT is reduced to the synthesis of new photoinitiators and the training of doctoral students during several months of workshop in the company’s laboratories in Cracow. together with PHT have started research on special UV cured varnishes. These varnishes will be used in the manufacture of packaging for demanding industries such as pharmaceutical and cosmetic. PHT is engaged in doing research on rigid polyurethane foams research in collaboration with Selena S.A. The co-operation is based on the implementation of a project funded by the European Regional Development Fund under Measure 2.1 “Support for R&D infrastructure investments in Operational Program Intelligent Development 2014-2020”. The aim of the cooperation is to produce chemical catalysts and to develop structural changes of packaging leading to accelerated crosslinking of polyurethane foams used in construction building. The Foundation for Polish Science under the project called ”Returns ”provided financial support to the consortium consisting of Cracow University of Technology and PHT. The research is aimed at obtaining advanced photochemical sensors to track changes in pH, viscosity, polarity, concentrations and isomeric forms of biocomponents in living cells and in more complex biocatalytic systems and in chemically pure reaction systems. 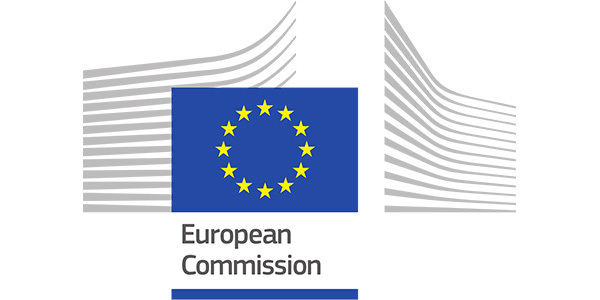 The project will be implemented in 2016-2018 in Cracow University of Technology and PHT laboratories in Cracow. The primary goal is to design and manufacture innovative cationic photoinitiators that absorb visible light. PHT conducts research on synthesis and photochemical analysis, Synthos S.A. acts as a partner for the commercialization of the developed solutions. The secondary objective is to develop alternative and economical methods for the production of key substrates used in the synthesis of photoinitiators, leading to independence from foreign suppliers. The total cost of the project is 6 646 531 PLN. On 25 January 2016 an agreement of sale of shares was signed in Oświęcim between The Foundation of Adam Mickiewicz based in Poznan, formerly co-owner of Photo HiTech, and Synthos S.A. Under the terms and conditions of the contract the Seller, and that is the Foundation of the University of Adam Mickiewicz, has sold all its shares at the amount of 440 shares to the Buyer, and that is Synthos S.A.
On 24 November 2015, Photo HiTech plc. signed an agreement of cooperation with Synthos S.A. Under the terms and conditions of the agreement, GalOrti-UV products have been sold and have been licensed for their production and commercialization. As a result of the changes that have been covered by the cooperation agreement and licensing agreement with Synthos S.A. On 24 November 2015 ,the trade name GalOrti-UV was changed to the trade name Sylanto, and the products under this trade name entered the Synthos Group portfolio in the SPECIALTIES product group. On 13-15.10.2015 PHT took part in an exhibition accompanying the RadTech Europe 2015 conference. RadTech is an event where all interested parties can broaden their knowledge of UV (UV) and EB (electron beam) cross-linking. The printing industry is changing direction: today, more and more specialist companies are replacing traditional analogue approaches with digital printing, especially by using inkjet printers where UV-curable ink is increasingly used. As a result of that, Photo HiTech has earned a reputation for being extremely attractive and innovative in advertising and offering of its products. Also in Prague, Photo HiTech demonstrated innovative application capabilities dedicated to radically hardened furniture and floor coatings, which enable customers to develop more ecological and environmentally friendly solutions. On 20-23.04.2015 PHT took part in the European Coatings Show, which was connected with the European Coatings Congress. It is one of Europe’s largest trade fairs for raw materials and technological solutions used in the production of paints, varnishes and plasters. At that time manufacturers from all over the world visited Nuremberg to advertise their products and technologies, and establish valuable contacts in the industry. In the light of the above, our representatives at this time could not miss out on such an important industry event. The result of participating in this industry event was the establishment of business contacts and the start of cooperation with large companies based in Germany, Italy and the United Kingdom.